Grad students build internet terror phone to scrape data on DoS attacks using Raspberry Pi #piday #raspberrypi @Raspberry_Pi « Adafruit Industries – Makers, hackers, artists, designers and engineers! …Ponder the monolith and its innards long enough, however, and you might find inspiration. 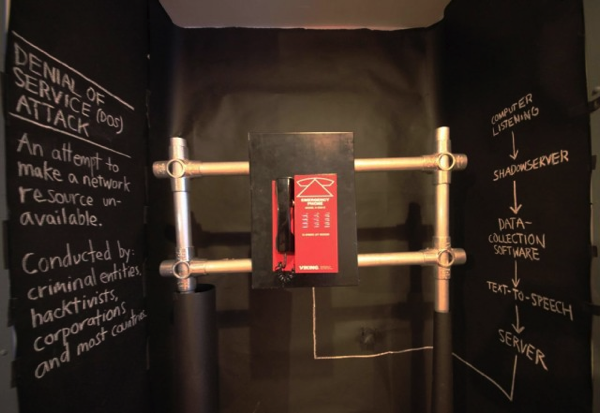 This is how a trio of grad students at NYU’s ITP (Interactive Telecommunications Program) came to build a strange new kind of emergency phonebooth. First they needed to find a way to listen in on cyberattacks. This wasn’t difficult. Shapira said that the internet is a lot like a big echo chamber—efficient routing means redundant connections. Denial-of-service (DoS) attacks reverberate between the connections. 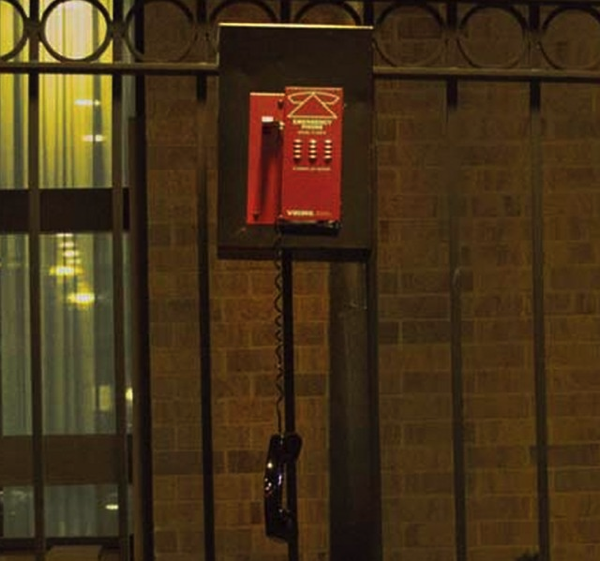 They needed a way to tap into a connection and listen for echoes. This wasn’t easy. “Well, no one, big companies I mean, wanted to partner with us, to let us see how they were being attacked. I guess we shouldn’t have been surprised,” Shapira said. So they found databases of DoS attacks. The only problem with the databases is they weren’t in real time. Nonetheless, the range and frequency was astonishing. “The ones you hear about, from Anonymous usually, those are the most vanilla attacks, like on Scientology. You don’t hear about criminal organizations or governments, controlling millions of computers through a botnet to gain access to a server, or kill it,” Shapira said.